A council overpaid staff and former employees more than £800,000 over three years, a spending watchdog has revealed. 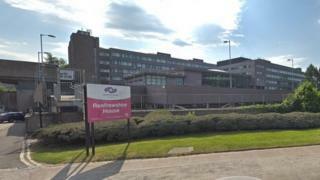 Renfrewshire Council made more than 800 salary overpayments between April 2015 and February 2018. The Accounts Commission said six of them exceeded £10,000 and one person received an extra £15,500. A spokesperson for the local authority said it had taken all appropriate action to recover the money. So far it has recovered 58% of the money overpaid - a total of about £812,000 - to current staff and 27% from former employees. But the Accounts Commission report revealed it had written off £21,000. The spending watchdog found an eighth of former employees of the council were still paid after leaving, "usually due to a delay in a department notifying payroll services staff that someone had left". Details of the financial error were revealed in a new report on council finances which warned that systems aimed at preventing money being lost through mistakes and fraud may be becoming "strained". It said: "Some recurring weaknesses are becoming apparent among councils and the consequences could be serious, including the loss of significant amounts of public money, impacts on services and reputational damage." Graham Sharp, chairman of the Accounts Commission, said robust management and scrutiny were more important now than ever before. "At the same time, budgets are tightening and there is significant uncertainty from factors such as the UK's withdrawal from the EU." However, he said there were also many examples where Scottish councils were managing their finances effectively. A Renfrewshire Council spokesperson said: "The risk of overpayments exists for all organisations and we have robust recovery processes in place for all debts owed, including salary overpayments, and we always take all appropriate action to recover all overpayments." Alison Evison, the president of the local government body Cosla, said the report was a "timely reminder of the many and varied pressures on local government". She added: "Scotland's councillors appreciate their role and duty in safeguarding public money and take it seriously.